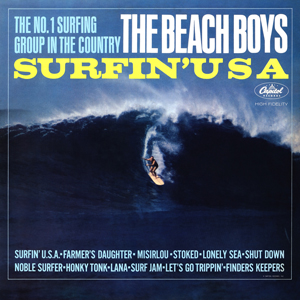 Forget all those drug-addled witterings about "Vegetables" and "Wind Chimes", there is still a lot to be enjoyed about The Beach Boys' early "surf and cars" albums. Stick this on during a hot summer afternoon and tell me that your spirits weren't lifted. Yes, this is no work of "genius" but in a way, maybe it is. 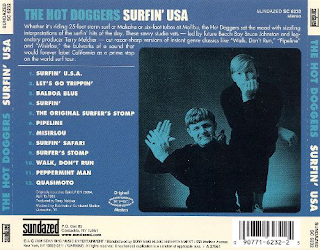 Sometimes, you can't beat a collection of two minute great pop songs. Just look at the early Beatles' albums and their popularity. Furthermore, these "mono/stereo" remastered releases are excellent. I am a stereo man myself, although I recognise these songs were originally presented to the world in mono. 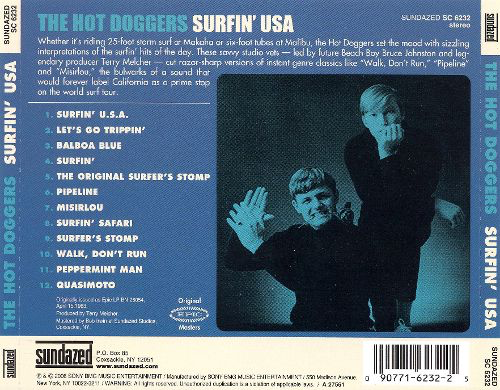 The title track is a stonewall delight, of course, but I have developed a weakness for the "surf instrumentals" "Misirlou" and "Stoked", and "Farmer's Daughter" is much better than some often say it is. The rest of the tracks are not really worthy of any deep analysis, they just come at you, one after the other, like a series of big waves.